As the US sees the number of entrants at major poker tournaments dwindle –with the exception of Borgata where the cut the buy-in by almost two-thirds—European tournaments have seen their numbers increase: And this was no more evident than at this past weekend’s Boyle Poker International Poker Open which took place in Dublin, Ireland. 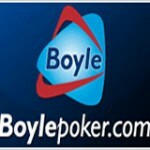 The International Poker Open, sponsored by Boyle Poker, broke its own record –set last year—for the largest live poker tournament in Europe: The previous record of 1,300 players was shattered as the IPO drew an astonishing 1,440 entrants. Ireland was well represented at the final table, with a full seven out of nine players hailing from the Emerald Isle. But, in the end it was a player from Luxemburg, via Germany, who took home the title: Markus Sippe. Sippe will take home $62,250 for winning the $225 buy-in tournament. This entry was posted on Tuesday, October 20th, 2009 at 7:54 am and is filed under Poker News. You can follow any responses to this entry through the RSS 2.0 feed. You can leave a response, or trackback from your own site.